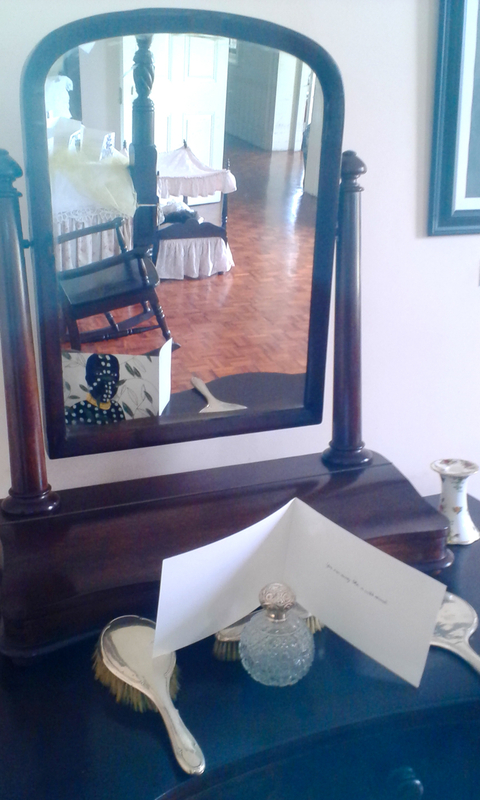 Notes To You was installed at The Devon House leg of the 2014 Jamaica Biennial. The work when first installed downtown at the offices of Myers, Fletcher & Gordon in August, 2014 was pinned to the wall along the curves of the inner architecture in a more grid-like arrangement. This time due to the space chosen the artists had to work with the rules of the house as a historic site and the arrangement of the furniture in the room. 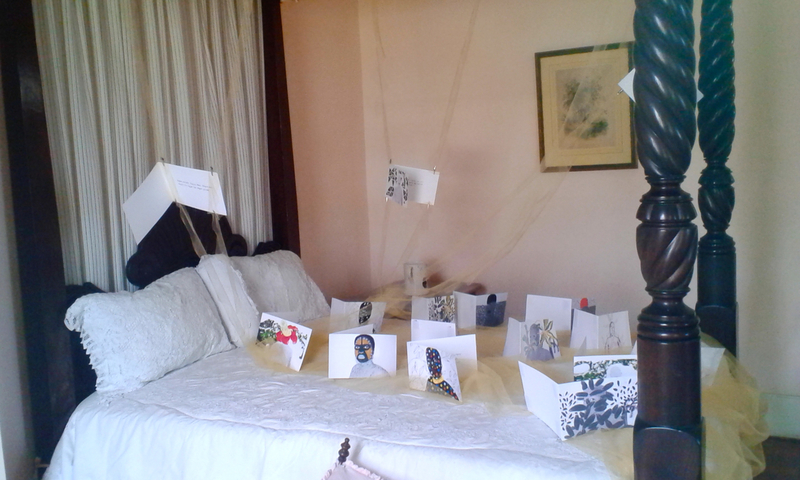 One of the goals was to arrange the cards over various pieces of furniture but leave them also feeling integrated. 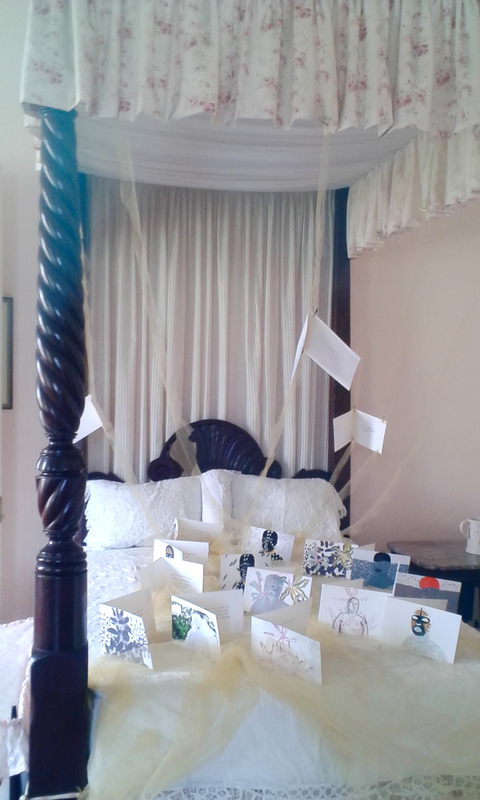 The softer frillier materials of the canopy bed were a way to anchor the cards and merge it with the furniture in the room. 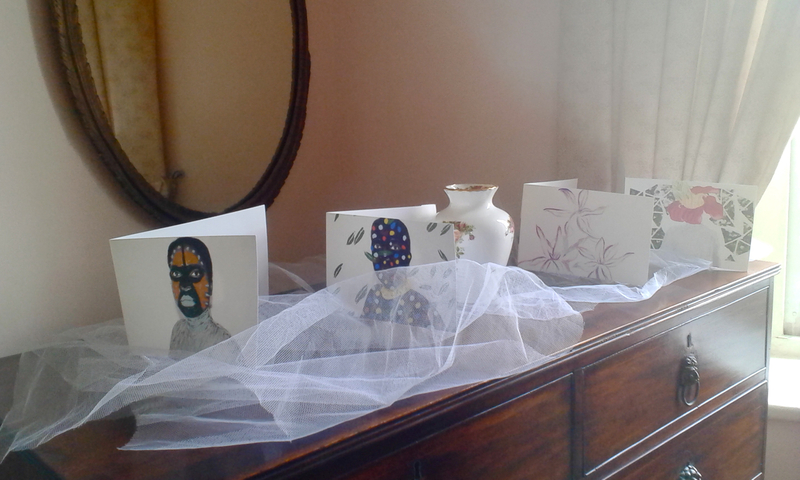 Coloured tulle provided that integrating medium for the cards. I am now thinking of ways for these cards to become something that everyone can have access to without losing the essence of the installation.